Thank you so much to everyone for your lovely words of support for #Blazerof2016 and especially to those who have signed up. And for anyone who’s teetering on the edge of joining in there’s still bags of time! Typically my working-week has been busier than expected and there’s been no room for sewing but I did manage a little recce of potential sewing patterns that I’d like to share with you. Don’t hold your breath though. It won’t take long! This little scout round the web – and to be fair, it was a little scout – has had some surprising results. 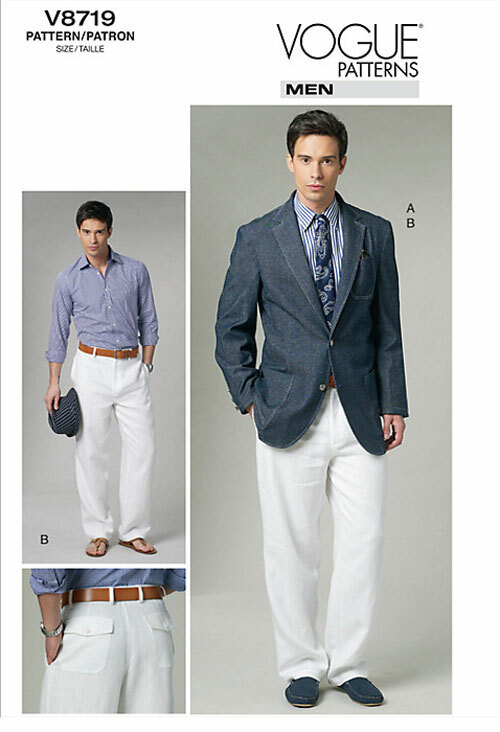 When MaleDevonSewing suggested that menswear only represented 6% of sewing patterns, he wasn’t exaggerating! 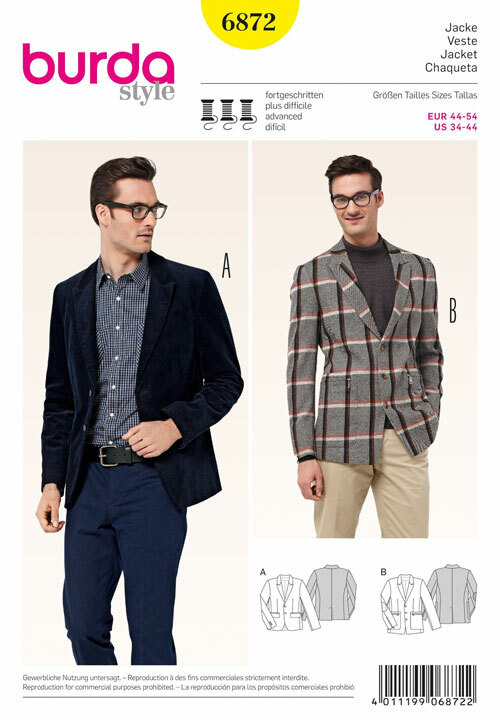 Of course there are only so many variations a man’s jacket might display, for example: the pockets, the lapel shape, the vent, if any, button cuffs or not, lined or not etc. No Westwood meeting McQueen with crazy shoulder shapes and asymmetric cross body lapels but that’s ok. We’ll make it interesting in our own way, right?! 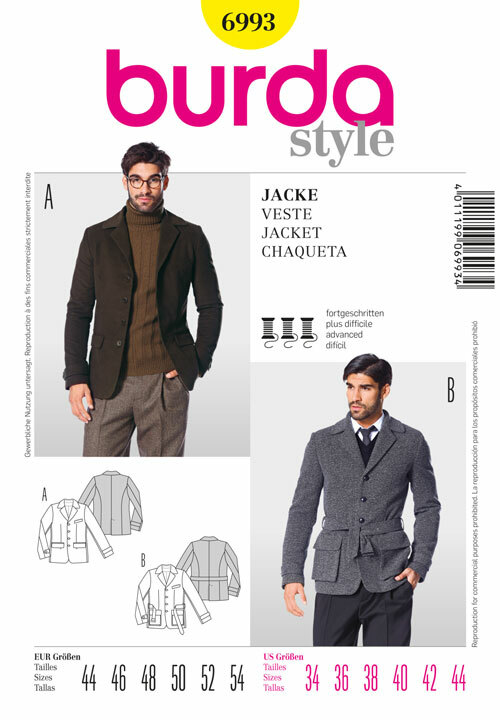 So Burda gets the prize not just for the most patterns found but also for their jacket patterns featured in this month’s Burda Style magazine. What were the chances of that? How are you getting on with your pattern searching? Have you found any designs by independent sewing pattern companies or have you gone vintage? There certainly seems to be more of those floating around. However, Mr O has a broader chest than most of those 50’s men it seems, hence my Big4 search. But to be fair, to find anything larger than a 44 chest in a modern day pattern is pretty rare too, it seems. Unfairly represented in more ways than one, then! 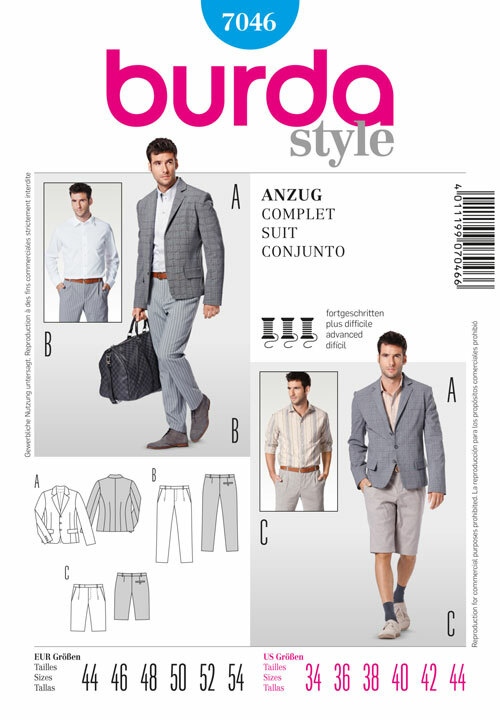 I think I’ll be going with the pattern on the left hand page of Burda Style magazine. I’m a bit nervous of the minimal instructions but I’ll be calling Jamie to the rescue if I get stuck! So calico at the ready I hope to be tracing and toiling sometime soon. It won’t be long before my son has sized out of the Ottobre boy’s patterns. 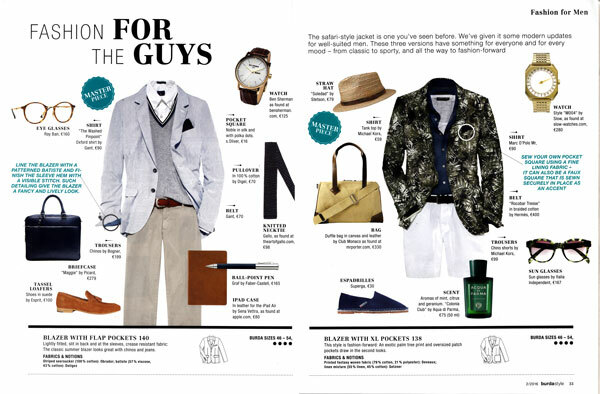 I’m already looking at what is available for men out there. Yesterday I made him the smallest of a Burda Young men’s hooded shirt and it is so big. But, better to be big than too small. 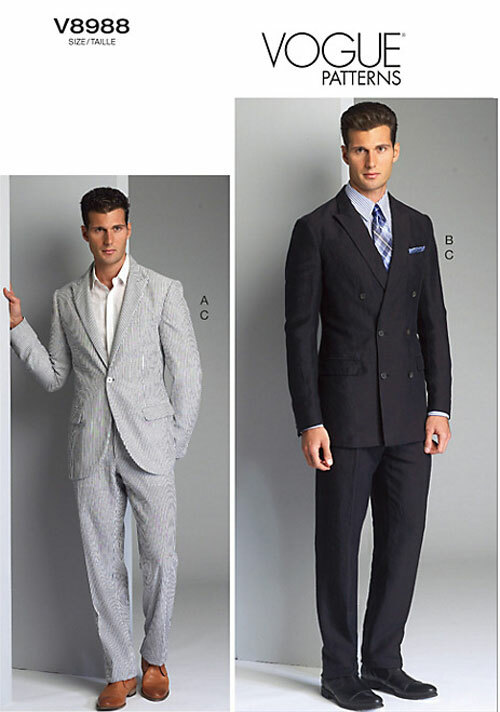 Not only is it difficult to find a good men’s pattern, but it is equally as hard to find fabric suitable. Good luck with your jacket! Thank you for showing all these patterns. I will have to look up 7194 for a future jacket for my son. I love how stylish it looks! I recently made the Burda 6813 with welt pockets for a friend which is very happy with it. The only modification I made was to add a full lining. Lovely pattern! 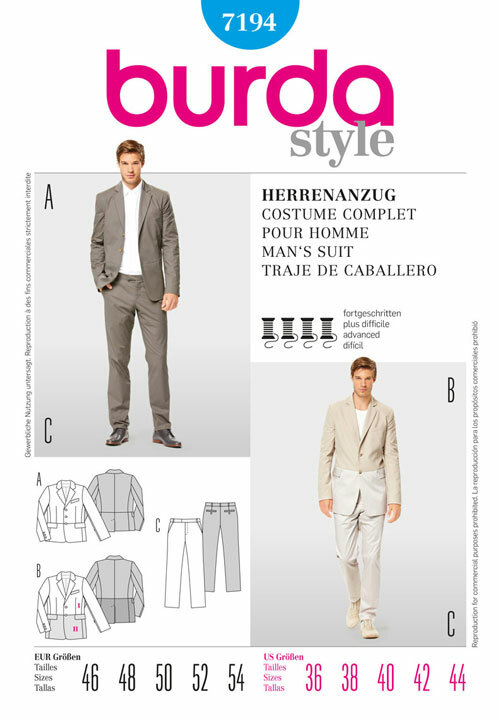 I made Vogue 8719 for my husband a few years back after stunning to fit Burda on him. 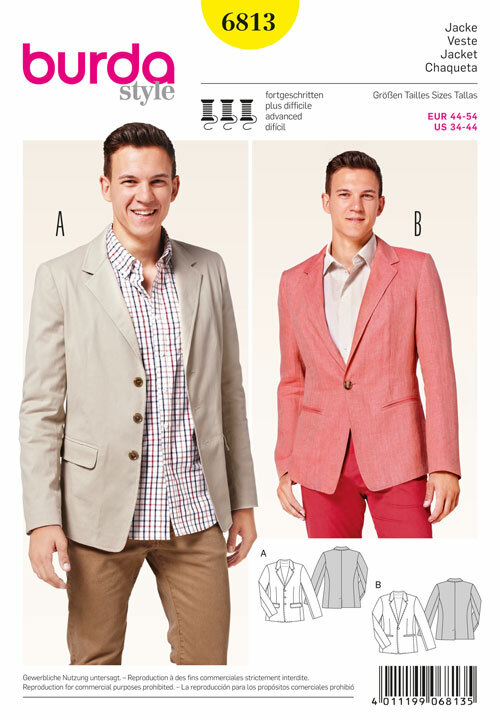 This jacket is unlined. It is easy enough to add a lining but you might be better off giving it a miss. 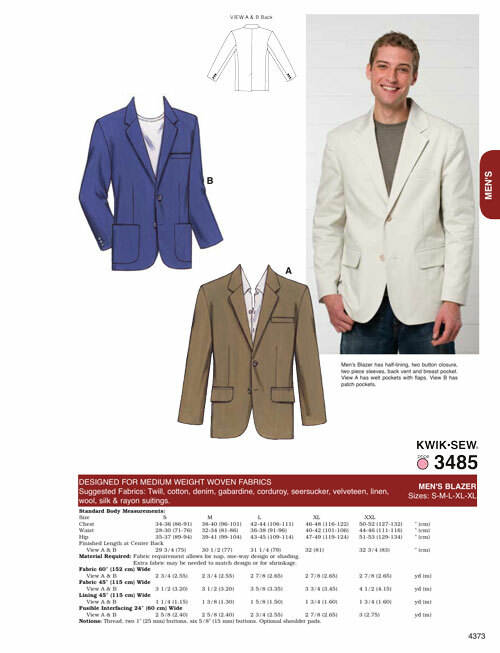 Previous PostPrevious Sew Menswear: Blazer of 2016!